At Ray of Hope, we’re humbled by the hundreds of people who choose to support our mission through gifts of “time, talent and treasure.” People from all across our community, of all different backgrounds, nationalities, denominations and ages, come together to help folks in need. This month, we’d like to introduce you to a youngster who launched his own fundraising campaign to help provide food for hungry people. Then meet the members of a Community Centre meal team who are committed not only to serving their fellow guests but to giving back to Ray of Hope as well. During Kitchener-Waterloo’s Coldest Night of the Year event, nearly 600 people raised more than $156,000 for Ray of Hope programs. Contributing to that total was Ethan Howlett, who raised an amazing $240. That’s an impressive amount for anyone, but Ethan is only 8 years old. When his mom, Becky, asked him if he’d like to do the walk, Ethan was enthusiastic. “I thought it was pretty cool that we did it in the cold – I like the cold,” he says. Ethan Howlett (shown here with his grandfather John) raised $240 for Ray of Hope! Encouraged by his grandfather, Ray of Hope volunteer John Howell, Ethan carefully planned his fundraising campaign. He learned about what Ray of Hope does, and made a list of people he wanted to ask for donations, including his teachers. He thought about how he would ask people for support, then put his plan into action. “I told people I was doing a walkathon to raise money so that Ray of Hope could give food to people who don’t have food,” Ethan says. Ethan was part of Creekside Church’s 12 or 13 Romans Team, named for Romans 12:13 in which St. Paul encourages readers to “take care of God’s needy people and practise hospitality.” He was one of four kids, age 11 and under, on the team. And they also embraced the spirit of giving; one youngster emptied his piggy bank and donated the entire $60 he’d saved. “He gave everything he had,” John says. At a time when the world can sometimes seem like a selfish place, it’s inspiring to see kids who care — like Ethan and his friends — making the world a better place. 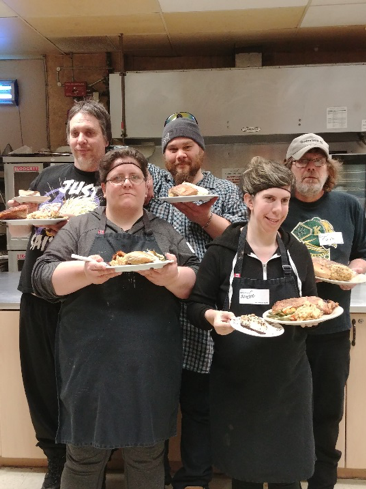 Ray of Hope Community Centre (ROHCC) is blessed to have so many churches, community organizations and business involved in its daily meal program. These groups’ commitment to provide, cook and serve a meal to our guests has forged a unique recipe for success in meeting the needs of many in our community. All our meal teams are important and appreciated but we want to celebrate one team in particular. Warriors 4 Hope is group of ROHCC guests who every Wednesday work with the Centre’s program coordinator and selected chiefs from our community to prepare and serve the meal to their fellow guests. Warriors 4 Hope (clockwise from top left) Brandon, Dave, Tom, Angele and Melissa. Absent: Rebecca, Christine and Jeffrey. When asked why they are part of Warriors 4 Hope, team members mention the fun, companionship and the support offered by the group, as well as the valuable cooking lessons provided. But above all, it is an opportunity to give back. “It is our chance to give back and show our appreciation for what Ray of Hope does for us,” says Tom, one of the Warriors. 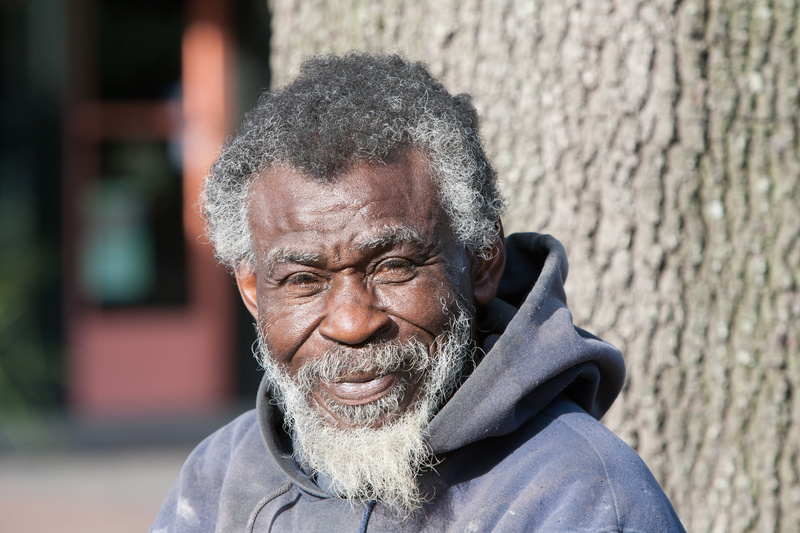 This desire to give back was on full display recently at the Coldest Night of the Year. Warriors 4 Hope took up the additional challenge of preparing the soup which won the Battle of the Bowls and was served the night of the walk. And it was not just a one-hour or even a one-day effort. The team spent several days and countless hours preparing and then serving the soup to the 600+ people who participated in the walk. Warriors 4 Hope are grateful to Ray of Hope and all its staff, volunteers and financial supporters who make the Community Centre possible. The Warriors’ desire to show their gratitude continues every Wednesday and they are also seeking new means by which they can voice their appreciation. One member of the Warriors is currently organizing a spring car wash. The goal is to raise funds to purchase a display monitor and speakers for the Community Centre to allow staff and volunteers to effectively communicate with guests what is happening at the Centre, to enable shared thanksgiving before meals, and to build other avenues of facilitating the mission of the Centre to demonstrate the love of Christ with those who are marginalized, disadvantaged or troubled.